Hartel’s Disposal provides weekly trash pickup for our residential customers. Roll carts ranging in size from 32 to 96 gallons are provided free of charge. 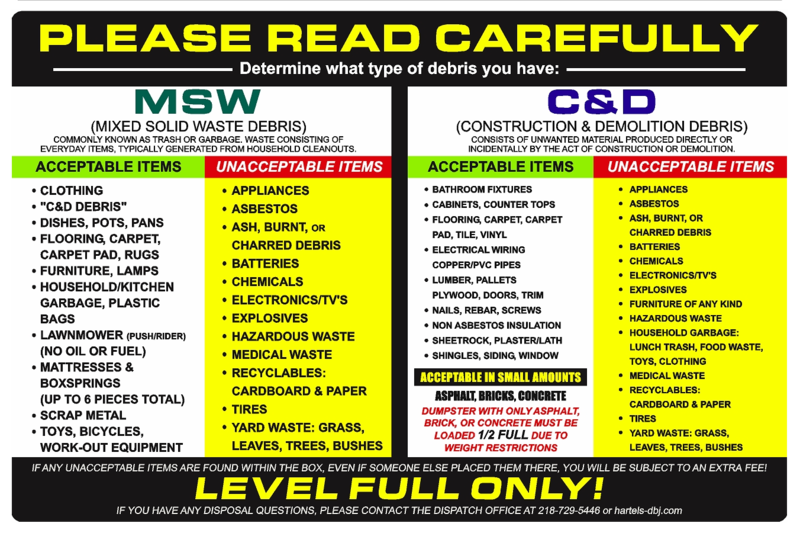 We also provide our residential customers FREE No-Sort recycling, using 64 or 96 gallon carts!!! 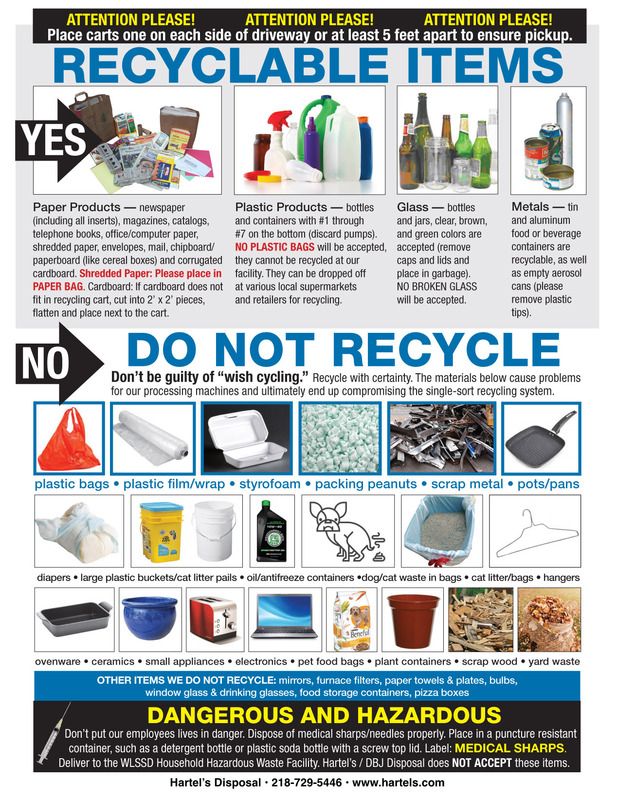 CLICK HERE for information on what can and cannot go into your trash. Place one cart on each side of your driveway or at least 5 feet apart.